What is hospice care, and what is its purpose? Hospice is the term for a special program of care for terminally ill (dying) patients and their families. Rather than trying to cure an illness, hospice efforts aim to make the patient comfortable, ease pain and other troublesome symptoms and support the family through a sad and difficult time. A hospice care program tries to provide the best quality of life for dying patients by providing a holistic approach. That means giving spiritual, mental, emotional and physical comfort to the patients, their families and their other caregivers. What is a hospice team? A hospice team is a group of people who understand the special goals of hospice care. The team includes doctors, nurses, social workers, spiritual counselors, home health aides, bereavement counselors and volunteers. The hospice team helps patients live out their final days with dignity and with as much physical comfort as possible. Is hospice care available to nursing home residents? Yes. The services of hospice care programs are provided wherever patients are spending their final days. This includes being at home, a family member’s home, a hospital, a nursing home or a hospice facility. The members of the hospice team try to help nursing home patients be as free of pain as possible. They also try to help them be at peace with themselves and their illness. At the same time, the hospice team provides support, education and counseling to family members, nursing home staff and other nursing home residents who know the patient. 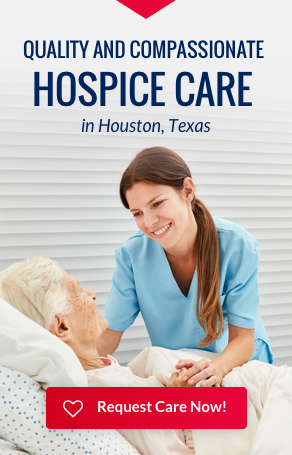 What specific services does a hospice program provide? Bereavement support is help in coping with the loss of a loved one. Grieving is a normal psychological process that nursing home staff members, family members and friends go through when a person they love or take care of passes away. Normal grief has no timetable or calendar. People experience grief in many different ways. Many people feel anger, loneliness, guilt, confusion and fear after a loved one dies. It helps to be able to talk about these feelings and about the person who has passed away. Hospice is committed to helping people who are grieving. Hospice staff members and volunteers offer warm professional support to help family members with emotional healing and readjustment. Hospice respects the natural dying process. It provides patients and family members with an opportunity for spiritual growth during this final phase of life.